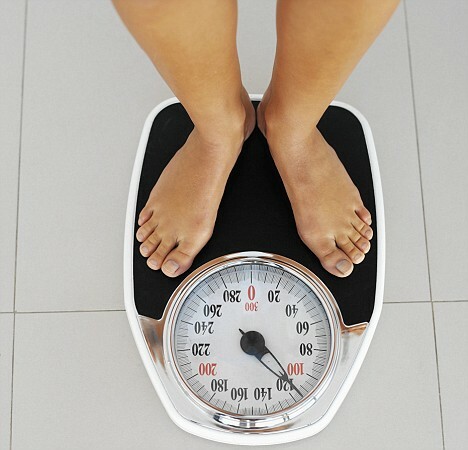 Should Psychiatrists Weigh Their Patients? We prescribe antipsychotic medications which cause weight gain and serious metabolic side effects. Why don’t we weigh patients at every appointment to monitor the impact of our medications? It seems obvious that we should, but changing the model of care is slow and out of step with our shift towards a more medical model of treatment, and away from the more psychological, or history-driven emphasis of care. Psychiatrists were quick to embrace becoming “pill-mills” which meant shortening appointment times, lengthening the time between visits, and relying on non-MDs for the patient’s history, and yet, we, as a group, are slow to embrace the “data” available to us, which in this case means weight. Although it is a simple point, I think it speaks volumes about the inconsistencies in my profession. If we are to align ourselves with our internal medicine colleagues, then we should follow their lead in collecting as much patient data as we can. At the same time, we can maintain the strong principle of listening, allowing ourselves time to understand, as a means of healing. As I have posted previously, I take issue with our new model of care in which the psychiatrist prescribes in the dark, without understanding the meaning of the patient’s symptoms in the larger context of his history and his associations to his struggles. I now also go on record as objecting to the lack of data mining to monitor the impact of our prescribed medication. It is time to weigh our patients. 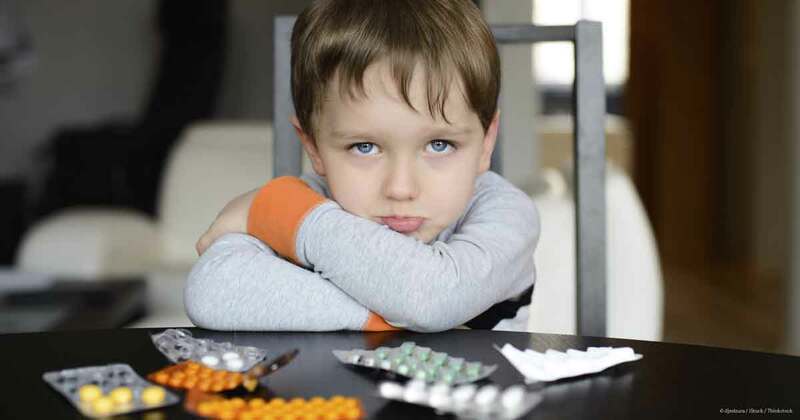 Head-Meds For Kids…Or..Medicine for the Child’s Mind? May 6, 2016, I am booked. Geez, that is advanced planning. Three hours, I have, to discuss medicating kids to mental health professionals dedicated to working with children. As usual, I expect to gain far more than I give, as this audience are folks who have spent years fine-tuning their skills to work with disadvantaged youth who struggle with coping with their circumstances. Nature and nurture will be discussed heavily, as the decision to medicate a child is never easy, simple, or straight-forward. The decision is made after a thorough history, but whose history? The parents, the child, another clinician, or all of the above? Yet, my first order of business is generating a title. I have a series of lectures which begin with Medicines for the…fill in the blank. Originally, I kept a similar title for all of my talks as a way of picturing my book on psychopharmacology for the lay public. Each talk was a chapter in my book, such that “Medicines for the Mind” was the large title and then there was “Medicines for the Female Mind”, “Medicines for the Old Mind,” and “Medicines for the Child’s Mind.” Yet, as the book has receded in my task list, and, as a patient once said to me, “you want to know about my head meds,” I began to think about changing my title. My next lecture on adult psychopharmacology will be entitled “Head Meds” but for my “kiddy talk” I will stick with “Medicines for the Child’s Mind.” I want to emphasize that the complexity of working with children is that their minds evolve as time goes on, such that all practitioners are made humble in that we never know whether we had an impact or maturation finally kicked in. I suppose the same is true of parenting. Parents take credit for “how well their children turned out,” when, in fact, it could very well be that their brain was developing in a non-linear fashion such that the child surprisingly became a responsible adult. Oh, so we return to nature vs. nurture, in which I will say that if the child does well it is nurture, and if he does not, it is nature. I hope I will get a laugh. We have a new sleeper on the market which antagonizes a chemical called Orexin. Orexin is a wake promoting chemical which is stimulated by the drugs Provigil and Nuvigil. Nope. I have not used it yet. Yep. I am excited to have a new tool for those sometimes stubborn symptoms of initial, middle and late insomnia, meaning the type of sleeplessness which could be trouble initiating or maintaining sleep. Provigil and Nuvigil I do use and really appreciate. Those two drugs increase wakefulness which is handy for those with chronic fatigue from a variety of sources. It is exciting to prescribe medication and watch people get better. It is even more exciting to bear witness to a new generation of medication which helps people who could never be helped before. Prozac did that for some individuals with irritable dysthymia and severe OCD. Belsomra could also be revolutionary. We will see. 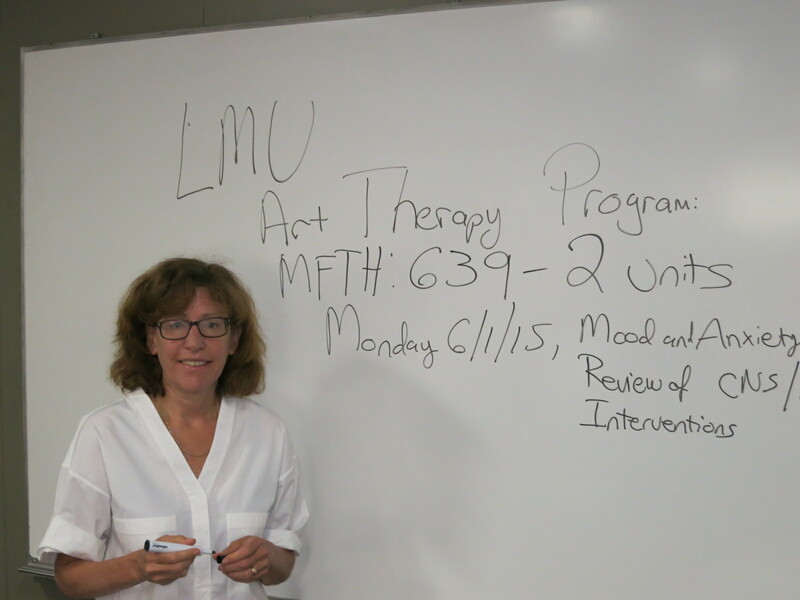 “Loyola Marymount University’s Marital and Family Therapy Department offers students an innovative program that leads to a Master of Arts in Marital and Family Therapy with specialized training in Clinical Art Therapy. “Do psychotropics change the art?” I ask my students as I teach these LMU students about psychopharmacology. “What about the clock test for dementia?” I ask, wondering if they can decipher how one’s brain deteriorates as evidenced by the deterioration in their clock drawing. http://www.ncbi.nlm.nih.gov/pubmed/10861923 . It is my privilege to ask these questions of eager students, artists, who want to coach artistic output in their patients in order to ameliorate the suffering they see in kids, adolescents and adults, many of whom are underprivileged and have little access to mental health interventions. The students, endlessly interesting themselves, seek the inner world of their patients through an artistic expression, allowing a springboard to deeper exploration and mental healing. As a psychoanalyst I would say that these therapists are bypassing the conscious, heading towards unconscious thought processes, through artistic expression. 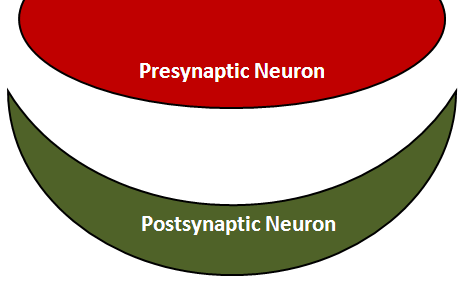 Some of these patients are on medication, or need to be on medication, so these students need to understand who to refer for psychotropic medication, and they need to know how to communicate with the prescribing physician, about the impact of the medication, on the art, on the therapy, and on the mental apparatus of the patient. That is where I enter into the curriculum. It is my job to help them understand the armamentarium of drugs that we use to help people with their mental distress. Moreover, it is my job to give them confidence to call that doctor and to weigh in adamantly about their impressions of the treatment. Empowering my students to communicate with physicians is a distinct challenge, because medical care, as it is in this country, is a hierarchy, and as such, these student therapists often worry about being humiliated. “You know this patient better than anyone,” I say, knowing the hours and hours they spend with their clients, working on their art, talking to them about themselves, their families, their traumatic experiences, and their hopes for the future. “I am a psychiatrist, and I am busy, and I may be short with you, if you call me, but it is helpful if you, in a nice way, can get to the point quickly and assertively.” I say, trying to break down this invisible wall between the MD and the therapist. 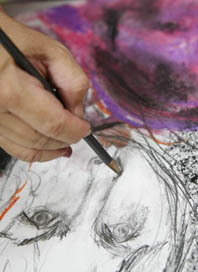 “Drugs can change the art, and art can change how the drugs are perceived. You are on those front lines. Don’t forget that.” I say, thrilled to be a part of their education. My hiatus is officially over and now I am returning to my blog, perhaps with less intensity in terms of the number of posts, but not with less intensity in terms of my deep concerns for the movement of psychiatry towards quick assessments and hence hasty diagnosis and treatments. Thank you- the graduates if 2014- for asking me to speak at this- momentous occasion- marking you as newly minted child psychiatrists. Your class is very important to me as you provided me the opportunity to teach the clinical practicum- the class that formally introduces you to child psychotherapy . It was an honor and a privilege to teach you – as it is an honor to stand here tonight. As I think about you- the graduates-I am reminded of my mentors who very sadly are no longer here- Denny Cantwell, Chris Heinicke and Ken Silvers- three UCLA professors who each gave me the courage to launch a very rewarding career. I would like to speak to you about those rewards- as you are about to embark in the next chapter of your life! The parent calls confused and bewildered as to how to help their child. We listen to their confusion and we think about the neurobiology, the possible psychopharmacology and the issues of child development. Through these multiple lenses we can analyze the situation with empathy and compassion to help this family get back on track . That first call may be because someone told them their child might need medication, but the family stays in treatment- not just for their prescription- but also to help their child grow up and navigate their worlds through the foibles of their parents and the challenges of their own biology. Nature and nurture come alive for a child psychiatrist. Like no other specialty in medicine, we have the privilege of a cradle to grave specialty because our toolbox is wider and deeper than our colleagues! We can see how their birth and subsequent development landed them in our offices and then we can help them understand how to cope with their circumstances. As Denny said you have to pick your parents carefully if you want to do well in the world and this motto has helped me help my patients understand that there is not just a brain lottery but there is a parent lottery as well. To be a child psychiatrist- as you- the 2014 graduates will learn more and more- is to feel the heartbreak of both children and parents. The art in this field is to walk a fine line between empathizing with the child and the parent at the same time. It is both sad to watch a child be abused by his parent and it is also sad to watch a parent being tortured by a difficult child. This ability to see multiple points of view is the excitement of this field. of male teenager I see who is now 18 but I have worked with him since he was 12. I will call him Tom. Tom came to me against his will. He was having severe substance abuse issues and conduct problems. He was failing at school and was disrespectful to his parents. I worked with him and his parents over the years . I gave him an SSRI briefly but it did not have a big impact on his mood so we decided to do intensive psychotherapy to help him through his issues. He reluctantly agreed. Now he is off to an Ivy League college, he has nice friends and he enjoys his life . This past week in one of our sessions-he completely surprised me as he reflected on our work. “You know,” Tom said sweetly, ” I think we have a good relationship and I think you have really helped me grow up and see the world in a very different way then I did a few years ago.” I could feel my ego swell as those words came out of his mouth. The gratitude from a g adolescent is a particularly special experience. Being a child psychiatrist is in one way like going to the movies every day- seeing a tale unfold in unique ways – but- perhaps more like a videogame- we get to attempt to change the ending. I just cannot imagine a more rewarding career. Good luck to all of you and most importantly-stay in touch! Another important professional development is that I am now on faculty at LMU. I will be teaching psychopharmacology to first year art therapy students. 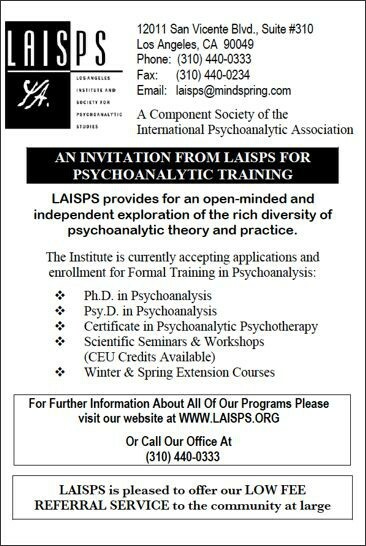 Meanwhile, I continue to teach at Los Angeles Institute for Psychoanalytic Studies, where I am now teaching the first year class about basic psychoanalytic concepts. 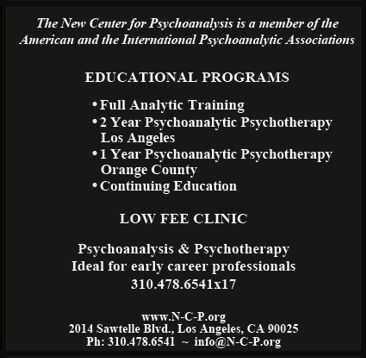 In November, I will begin teaching Psychoanalytic Understanding of Mood Disorders at the New Center for Psychoanalysis and in January, I will teach basic clinical concepts to their evening psychodyanmic psychotherapy program. I continue to teach at UCLA where I supervise both an adult psychiatry resident and a child psychiatry fellow. I also remain active there on the board of the Volunteer Clinical Faculty Association. Finally, I continue to teach and serve on the board at the Venice Family Clinic. In returning to my blog, I plan on posting about psychiatry, psychoanalysis, child psychiatry and the changing of the profession, given the presence of electronic medical records. I want this blog to be a place where ideas are shared with thoughtfulness and consideration for the writer (me) and the audience. Of utmost importance to me is maintaining the privacy of my patients. Keeping this in the front of my mind, I want to use small moments, without identifying information, to illustrate important clinical concepts. I am happy to receive comments, either personally or publicly. Thank you readers who have waited patiently for me to return. I appreciate all of your support during my hiatus. The good news: Rats given Prozac in adolescence responded to stress, later in life, with less despair. The bad news: Stressful life events in adulthood, among Prozac exposed Rats in adolescence, experienced a higher degree of anxiety than those rats not treated with Prozac in adolescence. This is an animal study. Can we really extrapolate to humans? I am not so sure.